First aired: Summer 2014, 12 episodes. Summary: Momoko is a beautiful young sword fighter who was born inside a peach (momo means peach in Japanese). She lives with her constant companions—the dog god Inugami, the monkey god Sarugami, and the pheasant god Kijigami. 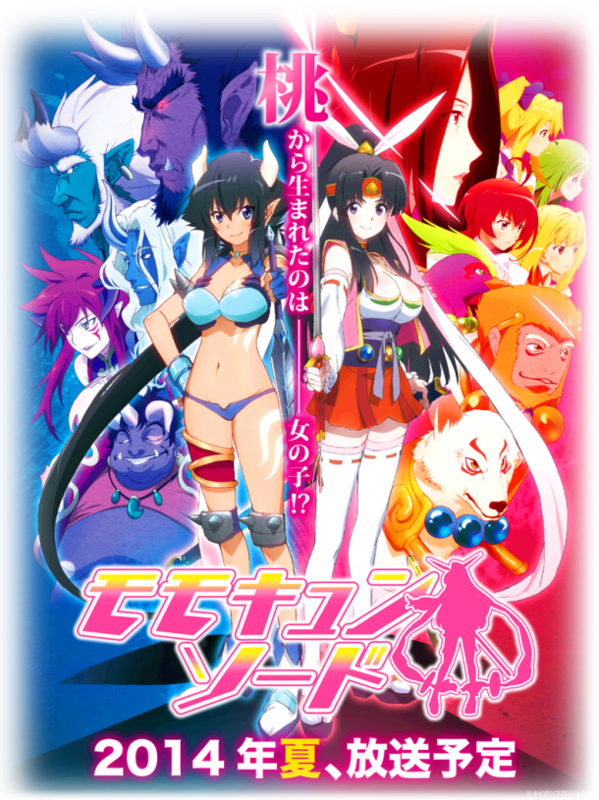 A demon army invades their home and steals the precious treasure that protects Momoko’s land. To retrieve the treasure and save the people, Momoko embarks on a great adventure with her three companions. At various times, mainly at the end of an episode, Momoko merges with her animal companions/guardians/trainers in a true magical girl fashion to gain extra powers to defeat her enemies. 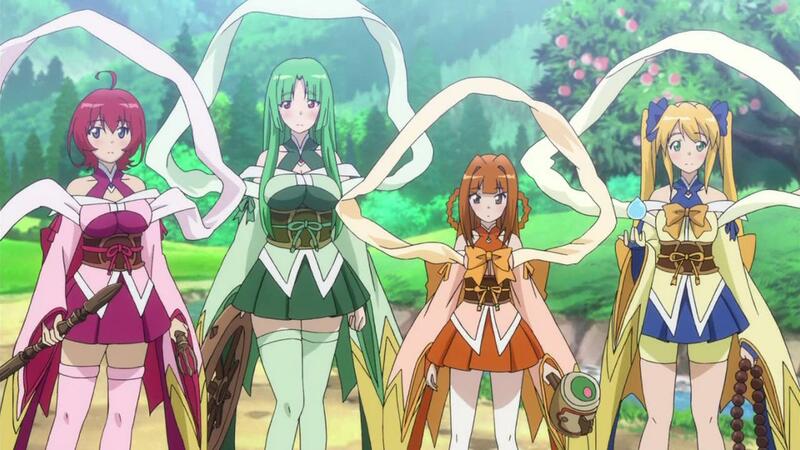 You might enjoy this if: You want to watch a “mature” version of a magical girl anime. This anime does not skip on fan service. You might not like it if: You want a storyline with more depth and substance. Note to the Viewer: Watch the first two episodes. By that time you will know if you love it or hate it. This entry was posted in Anime and tagged 2014, anime, comedy, fantasy, fragglepuss, girl, kyun, magical, mature, momo, review, summer, sword. Bookmark the permalink.